We’ve had a few Sony A7 series cameras sent to us for repair with the “Camera Error turn power off then on” – from our experience, there are a couple causes of this issue. The most likely cause of this issue is a frozen mechanical section in the sensor assembly (aka mecha device). We have developed a method to repair these cameras without replacing the optical block in some cases, which can cost well over a $1000 regardless of the model. One customer had been told by a certain repair center that repairing their camera would cost the same as a new Sony A7s. 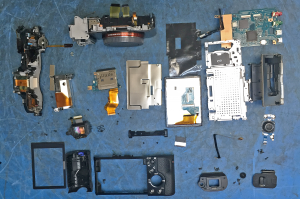 We were able to repair this camera for significantly less without parts. If you are experiencing an issue with your Sony A7, A7S, or A7sii, give us a call 323-887-0777.